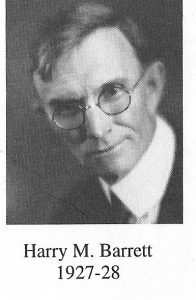 Harry M. Barrett was head of the Department of Education at CU. 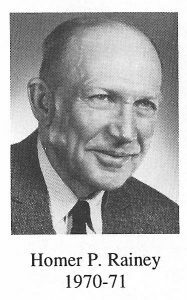 Elmore Peterson was Dean of the CU Business School. 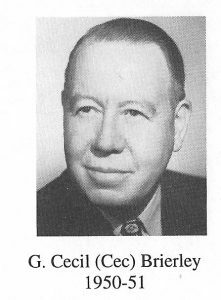 Cecil “Cec” Brierley, was district manager in Boulder for the Public Service Co. of Colorado. 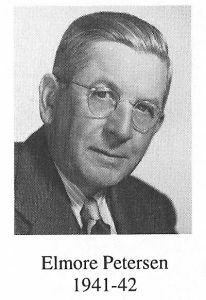 Homer P. Rainey was an educator and president at six colleges including the University of Texas. Stanley A. 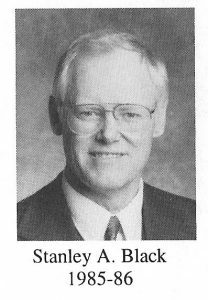 Black was a retired lawyer with Hutchinson, Black and Cook in Boulder. A recent report in the Greeley Tribune said he has moved there to be near his daughter and has joined the Greeley Rotary Club. You all know our last three district governors. Each of them told me a bit about serving in the position. Jack Rummel was a dentist for 30 years in Boulder and a noted ragtime musician, was DG in 1995-1996. Jack said the highlights of his year were the club visits. Even Kremmling, with 8 members, funded community projects through a monopoly on the local Bingo games. In Grand Lake, the club met with Jack in the evening at Rocky Mountain National Park, where he tried to read his speech by firelight while listening to the elk bugling nearby. Norris Hermsmeyer, a Realtor in Boulder, was DG in 2005-2006. During his year, the district chartered four new clubs, raised more than $50,000 for Hurricane Katrina relief, and raised $5,000 to support the then-new Granby library, which was later destroyed by a renegade bulldozer driver. Peter Ewing practiced family medicine in Boulder for 36 years. He was DG in 2014-2015. He joined Rotary in 1990 when his daughter was selected as a Rotary exchange student to France and has been active with youth exchange at the club and district levels. 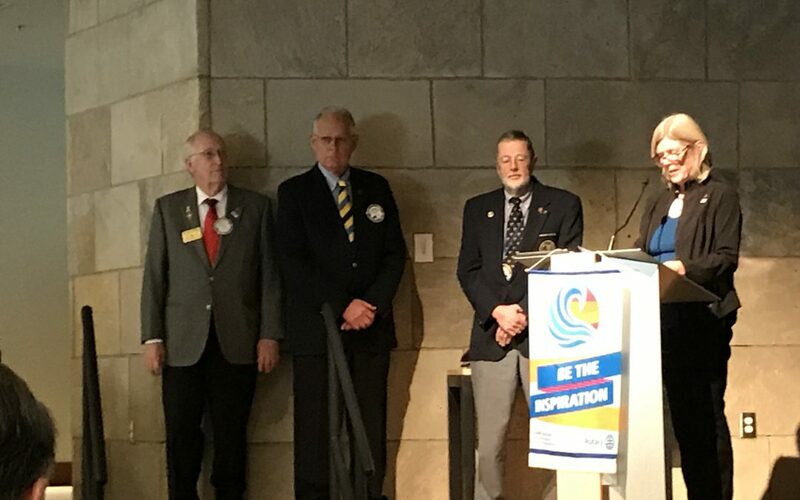 Peter says he considered himself an introvert before joining Rotary, but gained speaking and organizational skills, and most importantly, self-confidence, that helped him achieve the office of district governor. Thank you to these wonderful leaders for their service to Rotary and to us.